Front-end workflow redefined talk at Coffee @ DBG are up now. Front-end development is complex as we have to deal with diversified project environments. Tooling will help to ease our workflow. This presentation is about creating component based web development. Modular web development with JADE, SCSS and JS. My slides from Coffee @ DBG are up now. 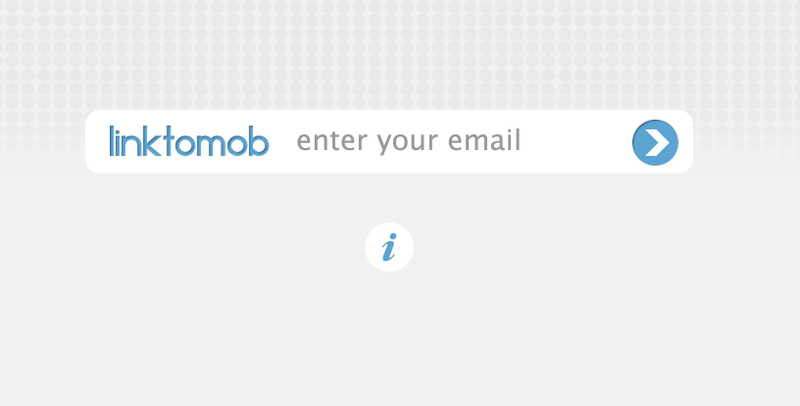 Linktomob created with an aim to share link between multiple devices without any hassles. Switching links between mobile and desktop browsers is a difficult process. We face this issue when building responsive site, mobile apps/sites or like to view site on mobile device when you are on a desktop. In such situations we will mail link and open it on mobile device. But if we want to test that link on a friends device or on a public testing device, in such situation sharing the same link on magnitude of devices will be a Herculean task. 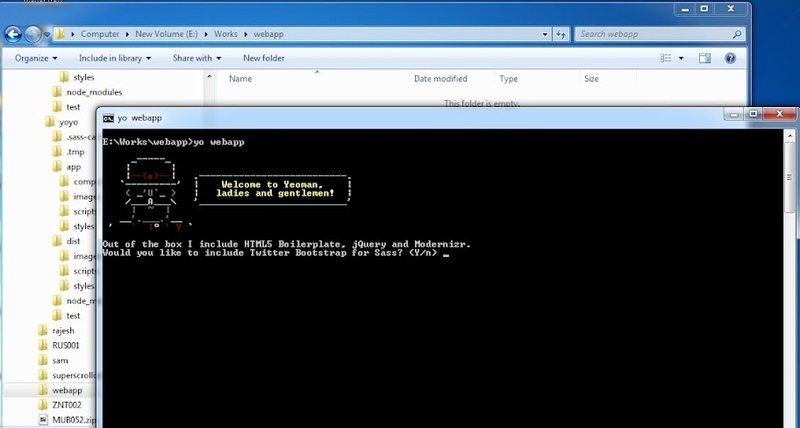 Yomen normal installation (npm install) works fine now. No need to do extra steps for windows. Yeoman 1.0 Beta out a few days ago. Its not officially supported on Windows, as of now we have to do some extra work to make it work on windows. Installing this version is simpler than previous Yeoman 0.9 on windows. Don’t use Yeoman 1.0 Beta in production, it may have bugs. In new version tools are divided into 3 category. 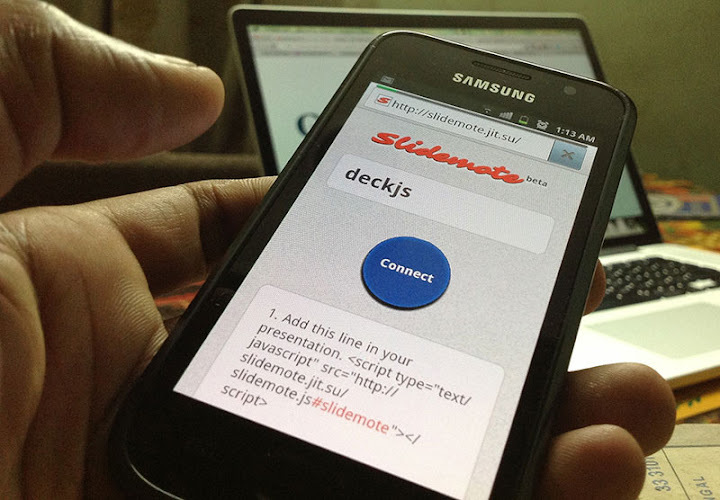 Slidemote is a web app created for easy integration of remote control facility for html5 presentations. RWD (Responsive Web Design) is increasingly popular over past few years. One important problem faced by RWD is lack of a standardised solution to deliver resized images into multiple devices. We have wide range of device categories, screen resolutions, pixel densities and lack of bandwidth/connection detection methods, all made this process difficult. There is no simple silver bullet to solve this issue. Why I migrated from Wordpress to Octopress. Octopress framework uses Jekyll SSG (Static Site Generator) to build pages. All pages are static and no server side processing involved. Requested page can deliver instantaneously by the server into user’s machine. Site is hosted on Github as Github Pages. Since its in Github, server uptime and response time are guaranteed. Octopress uses Markdown. Its simple & clean as writing a text file/email. It is a quick post about site preloading. 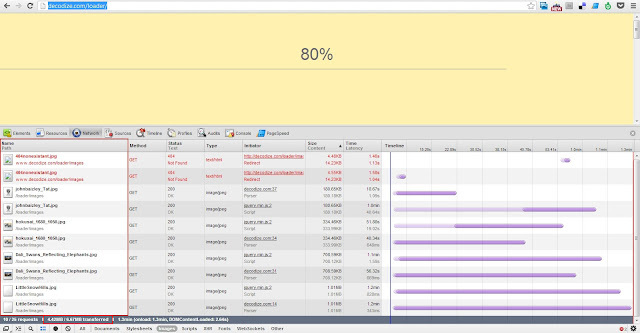 In one of my recent project there was a requirement for site preloading effect. When I googled I got some jQuery plugin. But some of them are bit heavy and loads the resources twice. I have used QueryLoader2. But I noticed increase in page load because of images are loading twice. PIXI : Tool to Create a Pixel Perfect Site. Fixed Arabic broken text (letters are not joining) & post updated. Sublime text 2 has so many brilliant features that saves time & effort. Sublime text 2 supports UTF-8, but right now it lacks capability to handle bidirectional languages like Arabic, Hebrew etc… Sublime BiDi Plugin will enable this shortcoming. Sublimes’s future version may support Right-To-Left Languages. Developers from MENA region will love this feature.